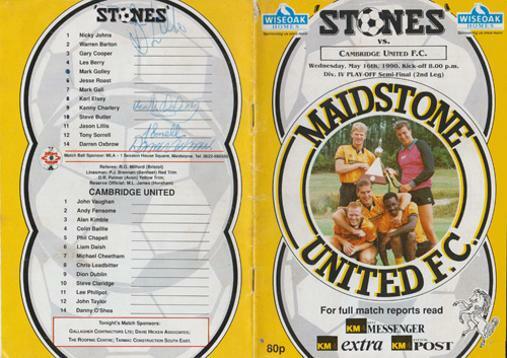 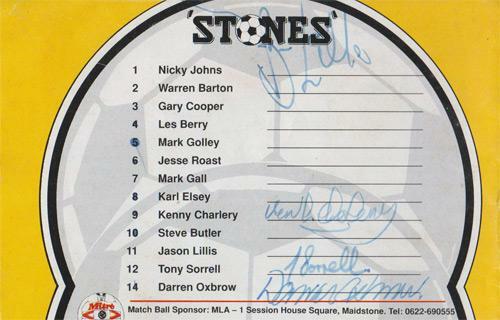 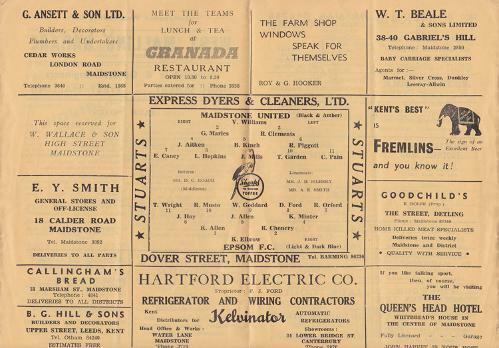 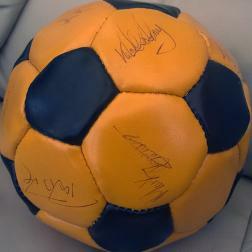 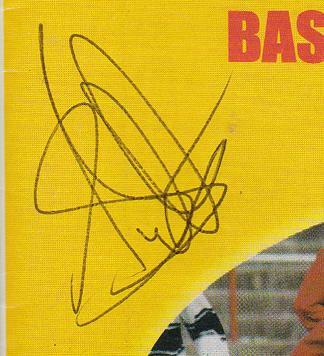 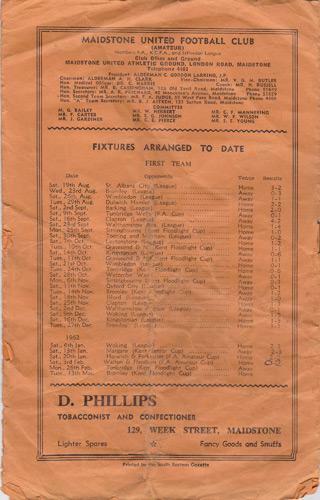 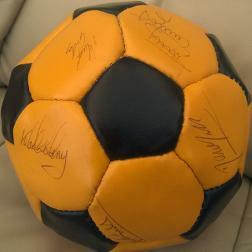 SIGNED on reverse team line up by FOUR players inc: Kenny Charlery, Tony Sorrell, Darren Oxbrow & one other. 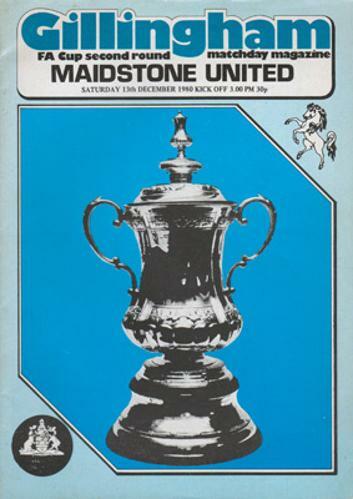 FA Cup Second Round Sat Dec 13th 1980. 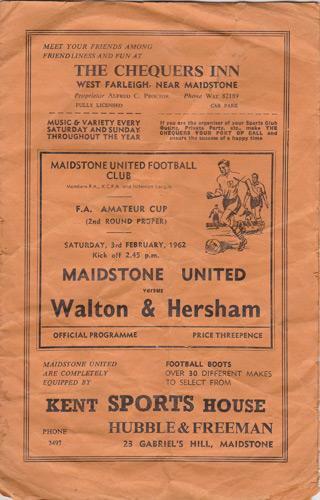 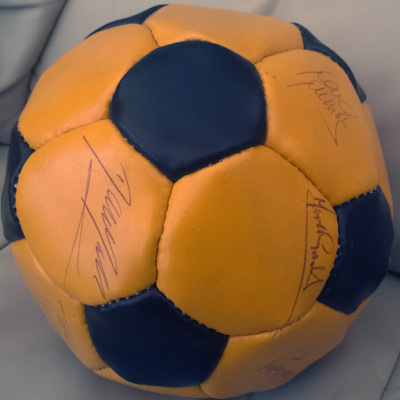 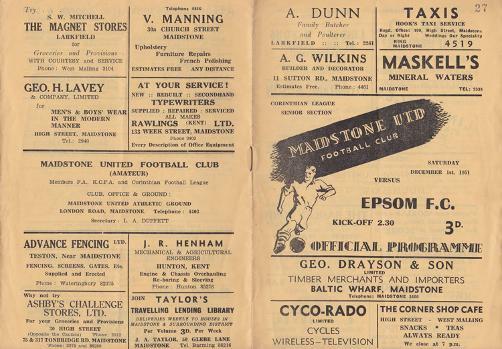 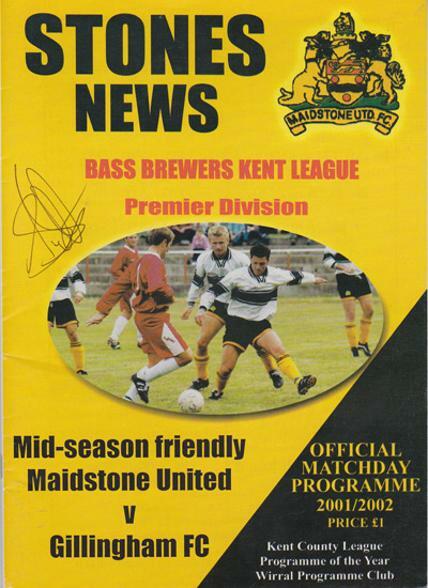 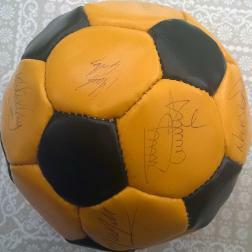 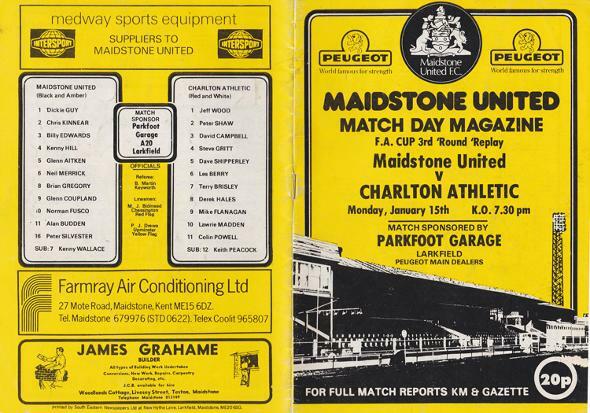 Welcome to the Uniquely Sporting Sports Memorabilia page for Maidstone United football memorabilia and Maidstone Utd FC memorabilia, and other soccer related football collectables and signed souvenirs for the Gallagher Stadium football legends and Stones memorabilia.